As many of our readers know, last spring John Trosko became President of the National Association of Professional Organizers (NAPO) Los Angeles Chapter. In spectacular on-time fashion, we've just gotten around to doing a press release about this new and exciting leadership position for John. Why not post a congratulatory message for John? John Trosko, known in Los Angeles as the "Organizing Evangelist," has been installed as President of the National Association of Professional Organizers, Los Angeles Chapter. NAPO-LA, a chapter of NAPO, The Organizing Authority® focuses on the development, leadership and promotion of professional organizers. Los Angeles, CA (PRWEB) September 14, 2007 -- John Trosko, known as the "Organizing Evangelist," (http://www.organizingla.com) has ascended to President of the National Association of Professional Organizers (NAPO) - Los Angeles Chapter, for the 2007-2008 term. NAPO-Los Angeles, a chapter of NAPO, The Organizing Authority®, serves the Santa Barbara, Palm Springs, Los Angeles, Long Beach and Orange County (CA) metropolitan areas and focuses on the development, leadership and promotion of professional organizers. "It is an honor to lead this incredible group of business men and women and take on the challenge of driving the industry's continued growth in Southern California," said Trosko. "NAPO-Los Angeles has very much augmented my professional credibility. I have established business contacts and learned about the profession through it's education programs. As my Presidency continues throughout the year, I look forward to enhancing our member experience and promoting our professional programs through the Southland." John Trosko is founder and president of OrganzingLA, a Los Angeles-based organizing and lifestyle consulting company founded in 2004. More than an organizing consultant, John has become a lifestyle guru, helping a diverse mix of clients including Hollywood's elite, transform their homes from fabulous messes to spectacular showcases. 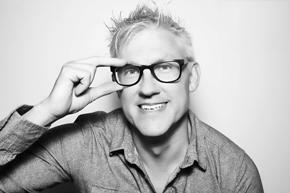 Trosko is also the creator of the OrganizingLA Blog, fast becoming known for its daily dose of fashionable tips and organizing strategies for readers with discerning palates, full lives, and little time. Trosko earned a prestigious designation when his organizing peers honored him with the "Raising the Bar" Award at the Inaugural 2006 Los Angeles Organizing Awards. NAPO-LA's (http://www.napola.org) mission is to develop, lead and promote professional organizers and the organizing industry. The non-profit group, founded in 1985 by five Los Angeles-based professional organizers, has grown to become the second-largest NAPO Chapter in the United States (out of 29 Chapters.) 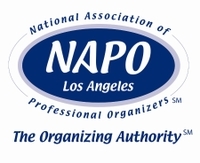 NAPO-LA members include hands-on residential and business organizing consultants, speakers, trainers, authors, retailers and manufacturers of organizing products. The LA Chapter produces the nationally recognized Los Angeles Organizing Awards, to be held January 31, 2008, at the Luxe Hotel in Bel Air, California. OrganizingLA (http://www.organizingla.com) is a Los Angeles-based organizing and lifestyle consulting company. Founded by professional organizer John Trosko in 2004, OrganizingLA provides premiere office and business organizing as well as home and lifestyle management services. Trosko is also Editor of the "OrganizingLA Blog," an online showcase for innovative organizing products, time-saving tips and organizing strategies for busy Angelinos. His company has been covered by Los Angeles Times, BusinessWeek, DailyCandy, Frontiers Magazine, Estates West, Instinct Magazine, LegalZoom.com as well as local Los Angeles television stations KCBS-TV, KABC-TV, KCAL-TV and national segments for Scripps Howard Broadcasting Company. Trosko will soon be featured as an Expert Contributor for PeopleJam (http://www.peoplejam.com).